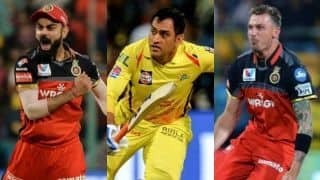 Hello and welcome to LIVE coverage of Match 30 of the Indian Premier League (IPL 2019) from the Rajiv Gandhi International Stadium where hosts Sunrisers Hyderabad (SRH) face Delhi Capitals (DC). Delhi Capitals will be high on confidence after back-to-back wins. That’s a wrap for today, folks. Remember this collapse, one for the ages! We hope you enjoyed our coverage as much as we enjoyed bringing it to you. Do stick around for all the reports, post-match press conference reports, videos, analysis and much more, but for now, it’s goodnight! 11.55 pm: Kagiso Rabada is now the Purple Cap holder. Here’s what he has to say about DC’s crushing performance today. Summary: 15 runs and 8 wickets, SRH did really botch up this run-chase. They have themselves to be blamed here. 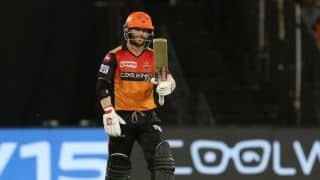 Jonny Bairstow and David Warner expectedly provided the right foundation, but once they departed, the questionable SRH middle order was exposed and it failed yet again. With this win, Delhi Capitals have claimed a hat-trick of wins and move to 10 points. Another point to note was that all the 10 wickets were taken by DC seamers on a sluggish pitch. What a feat! This pitch has died and has taken the home team with it. 155 feels like 200. 11.42 pm: From 101 for 2 for 116 bowled out, talk about a batting collapse. Delhi Capitals jump to second in the points table. 19th over: Sandeep Sharma is the new batsman in the middle. 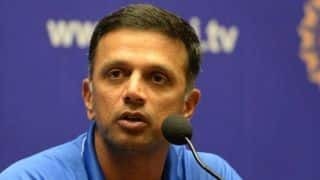 Kagiso Rabada will continue and he has finished it off very, very quickly with the wickets of Bhuvneshwar Kumar and Khaleel Ahmed. IT’S ALL OVER! Delhi Capitals have registered an emphatic 39-run victory. Solid solid bowling performance by DC here. They are liking these away games. WE HAVE GOT OUR MAN!!!!!!!!!! @KagisoRabada25 GETS WARNER!!! WOOHOOOO!!!! SRH – 106/4 in 16.2 overs. Bhai ne dil jeet liya yaar! That could have been close but Warner makes it back quickly! A breakthrough in the over from Keemo. COMEBACK HOGA! STAT ATTACK: Fifth time in seven games that SRH haven’t lost a wkt in the Powerplay. WE BELIEVE! CHALO BOYS, DEFEND HOGA!!! I.N.C.H.E.S! @ImIshant is beating the outside edge again and again! Getting closer! 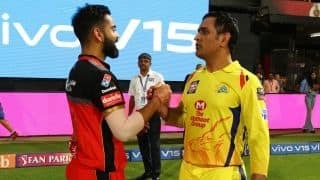 OH BHAI, WHAT A BALL! 😯@ImIshant beats Warner with a peach. LOVING THE INTENT!!! 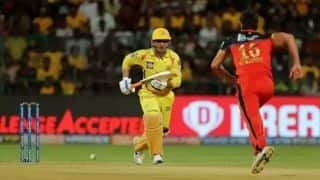 Summary: Good comeback by Sunrisers Hyderabad especially after Shreyas Iyer and Rishabh Pant almost took the game away with a 50-plus partnership. 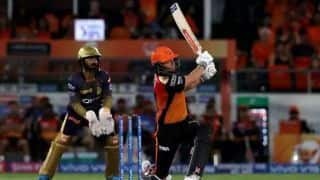 Earlier, Colin Munro played an enterprising knock before he was dismissed by Abhishek Sharma, the debutante. For SRH, Rashid was the most economical bowler while Khaleel was the highest wicket taker with three crucial scalps. This target shouldn’t be tough for SRH to chase down. Back in 10 minutes with the second essay. A brilliant bowling display from the bowling department. 3 wickets for Khaleel, 2 for Bhuvi, 1 for debutant Abhishek and 1 for Rashid. 20th over: THAT’S IT: Delhi Capitals huff and puff their way to 155/7. Bhuvneshwar Kumar STRUCK with the wicket of Keemo Paul, who smashed a SIX in the previous delivery, but Bhuvi has the last laugh. 13 runs comes in the last over. Too many soft dismissals for @RishabPant777 this season. Not happy! Delhi’s batting after this pair is worrying. Morris, Axar and Keemo haven’t lit it up with the bat so far. 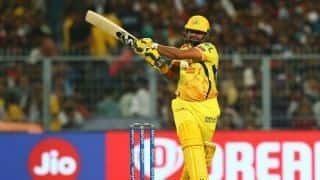 Shreyas and Pant have to play the maximum of remaining overs. It was a excellent over until that four! Rashid troubled them a bit and conceded just 6. End of powerplay. Munro has anchored the DC innings so far despite the loss of two early wickets. Need to get him soon, boys! There was an extra bounce and Khaleel gives us the early breakthrough!! 7.09 pm: Brace yourselves up for this one, folks. TOSS TIME in less than 20 minutes. A wicket with the ball and a super cameo of 23* with the bat, @akshar2026 put in a solid show vs SRH last time! 6.51 pm: Here’s some GOOD NEWS for SRH fans. Kane Williamson batted in the nets on Saturday and looks set to make a return to the side today. 6.29 pm: Meanwhile, Shikhar Dhawan has sent some festival greetings from the DC camp. 6.27 pm: Few milestones that can be achieved in today’s match. 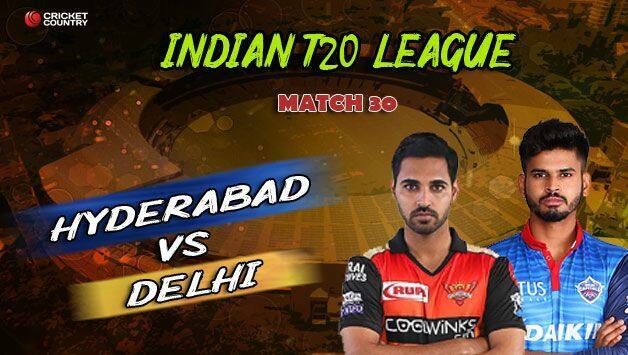 SRH are playing their 100th IPL match.